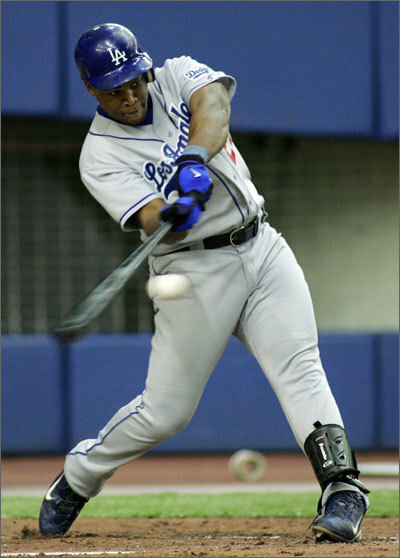 Beltre had the best season of his career while with the Dodgers in 2004, finishing second to the Giants' Barry Bonds in the National League Most Valuable Player voting. At age 25, Beltre batted .334 with 48 home runs and 121 RBIs. He had a .388 on base percentage and a whopping .629 slugging percentage. His 1.017 OPS was good for fifth in the league, and he had 376 total bases. All remain career highs.